Japan’s Aozora Bank will partner with a Chinese financial technology unicorn to develop online loan services in Southeast Asia. There is a significant need for Mekong countries to upgrade their infrastructure to take on a larger share of global manufacturing, said Sok Siphana, chairman of independent Cambodian think-tank Asian Vision Institute (AVI). Central banks in Asian emerging markets appear set to dump their hawkish policy stances. 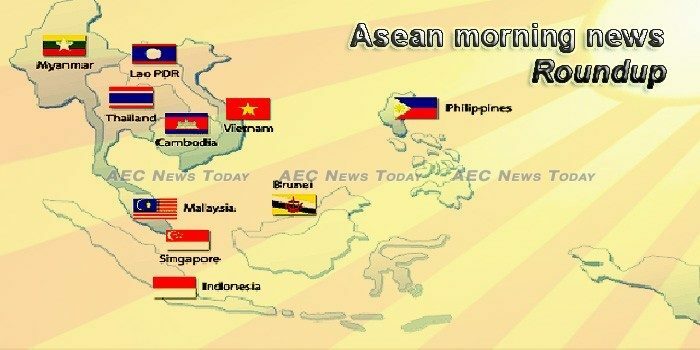 Last November Russian President Vladimir Putin and Asean leaders took a historic decision to raise the Asean-Russia Dialogue Partnership to a strategic level. From paleo diets to veganism, the relationship that human beings have with food is multifaceted and cuts across different social underpinnings and economic considerations. As such, food production is an important consideration in the sustaining of any particular society. The United States and its allies should strengthen their investments in Asia’s digital economy to counter China’s increasing presence in the region, experts from the US and Japan have said. In Asia, the marquee names seem to be ones that are attracting attention when it comes to investors’ appetites — and money! — and so they are big, and getting bigger. The rivalry between homegrown ride-hailing company Go-Jek and Singapore-based Grab has reached the next level, with the former having received its latest round of funding for its regional expansion from global tech giants. Unity among Association of Southeast Asian Nation (ASEAN) and Bangladesh, Bhutan and Nepal (BBN) countries can transform the region into an era of shared prosperity, said Chief Minister Sarbananda Sonowal while interacting with the ambassadors and high commissioners of ASEAN and BBN countries on the sidelines of the second ASEAN-India Youth Summit here on Tuesday. One in three in Southeast Asia are open to purchasing an electric vehicle (EV) as their next car. Sales of new cars in Southeast Asia’s six major markets increased for a third straight year in 2018, rising 6% and breaking the previous record set in 2013. IBMR.io, a social impact economic development reserve and advisory, has just announced the launch of the Asia Reserve Currency Coin (ARCC). Loan demands from Cambodia’s banking industry had surged by 20.1 percent in 2018 thanks to the growing business activities in trade, real estate and construction, agriculture, and manufacturing, said a central bank’s annual report on Wednesday. Cambodia produced 7.4 million tonnes of paddy rice in 2018, a 3.5 percent increase, according to the Ministry of Agriculture’s annual report. A leading US-based rights group has said acid attack survivors in Cambodia are unlawfully denied free medical care and face pressure to accept inadequate settlements. Indonesia posted slightly stronger economic growth in 2018, data showed Wednesday, but it still fell well short of President Joko Widodo’s seven-percent target as elections draw closer. The Finance Ministry has issued a new regulation on an new tax incentive that reduces interest income taxes for exporters that place their foreign exchange earnings as fixed deposits in Indonesia. A first year cadet at a government-run aviation academy in the South Sulawesi capital of Makassar, Aldama Putra Pongkala, was killed after he was assaulted by one of his senior classmate. A French aid organisation has expressed its intention to help the Lao government protect heritage sites and infrastructure in Savannakhet and Champassak provinces. The government of Laos must ensure that people living in poverty are able to take part in key decision-making processes that affect their lives, rights groups said Wednesday, ahead of a fact-finding mission to the Southeast Asian nation by a United Nations expert. Lao Airlines staff believe the number of Chinese customers could surge to 241,500 this year, an increase of about 42 per cent compared to last year when Chinese nationals made 170,500 flight reservations. MALAYSIA Airports Holdings Berhad (MAHB) today rejected AirAsia’s offer to mediate over an RM400 million counter-claim linked to passenger service charges (PSC) at klia2, said the budget airline. Malaysia, with a score of 95 out of 100, ranked first in the Best Healthcare in the World category of the 2019 International Living Annual Global Retirement Index. Facebook announced today that it has removed four groups based in Myanmar that it has determined to be dangerous from its platform. Although oil crops are a priority under the Ministry of Commerce’s National Export Strategy (NES), the country’s imports of such crops, used to make edible oil, is more than twice what is being exported so far, said Mandalay Region Chief Minister U Zaw Myint Maung. LAWMAKERS missed their self-imposed Wednesday deadline to approve the much-delayed 2019 national budget bill. Funding has been approved for the preparation of three national projects that would be pursued via public-private partnerships (PPP), the PPP Center said. More Filipinos continue to entrust their savings with banks as deposits rose by nearly nine percent in the first 11 months of last year amid the strong economic growth. Singapore will feel the effects of a slowing global economy and ongoing trade tensions between the United States and China, said Prime Minister Lee Hsien Loong, as he urged Singaporeans to keep on upgrading themselves. Are you happy with your salary in Singapore? Rhetorical question, I know… But if you are happy with what you’re making, you might want to close this tab because you’re about to feel jealous of these 38 jobs where people can make above $10,000 a month. Deputy Foreign Minister Marzuki Yahya hails from the same party as Prime Minister Mahathir Mohamad.